Tik Tik Tik’s plot is something which we have seen in a dozen Hollywood movies. A Good attempt failed due to Poor Production values and pathetic CGI. 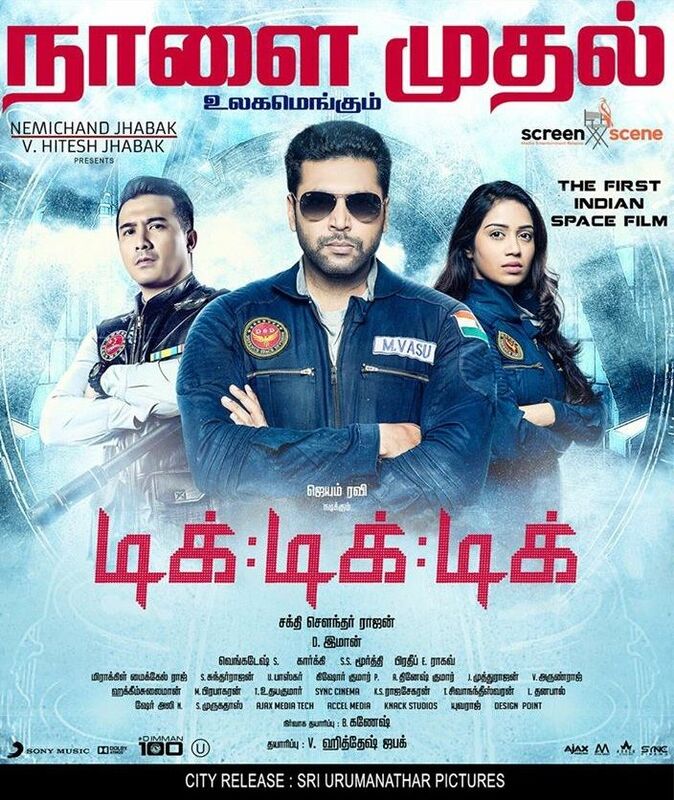 The most-anticipated Space flick ‘Tik Tik Tik‘ gets released today and Director Shakti Soundar Rajan who often thinks outside the box has finally made India’s first Space flick. So the movie’s plot is something which we have seen in a dozen Hollywood movies, “Saving the Earth” kinda thing. But this is something new for our Tamil audience. There’s a space station which carries a powerful Nuclear Missile and it can destroy a whole nation. An asteroid is also rushing towards and the charge of the space station gets in a war of words with Indian Space Engineers. To set things right, the Indian Space Organization seeks the help of Vasu who is a local magician. He is given a team comprising of Swathi (Nivetha), Venkat (Ramesh Thilak) and Raghuram (Vincent). He should go to space and use the Nuclear missile to destroy the asteroid and save the people. But, he gets a call that his son is kidnapped and he should steal the missile and handover. What he does should be seen on the big screen. The problem is, for such a movie, a huge budget is essential and what we get here is some poor CGI work. Director Shakti Soundar Rajan should have watched the making of Interstellar for 3 hours and he could have made a better product for sure. The Art Director has never even worked on his basic as even the space station backdrop is done with a green mat. And Ravi floating in space, huging the missile and getting his Son’s image is totally looted from ‘Gravity’. C’mon! People aren’t that dumb. Imman’s music is genius. Pradeep’s editing could have been a lot better. Production values are poor. Just like ‘Miruthan’, Shakti Soundar Rajan fails in execution. Nivetha Pethuraj is absolutely stone-faced and she emotes very rarely. Rest of the cast are just fillers. All said, ‘Tik Tik Tik’ is a watchable attempt for it’s first of a Kind in Indian Film Industry! Overall, A Good attempt failed due to Poor Production values and pathetic CGI. Atharva in a 75 lakhs trouble!